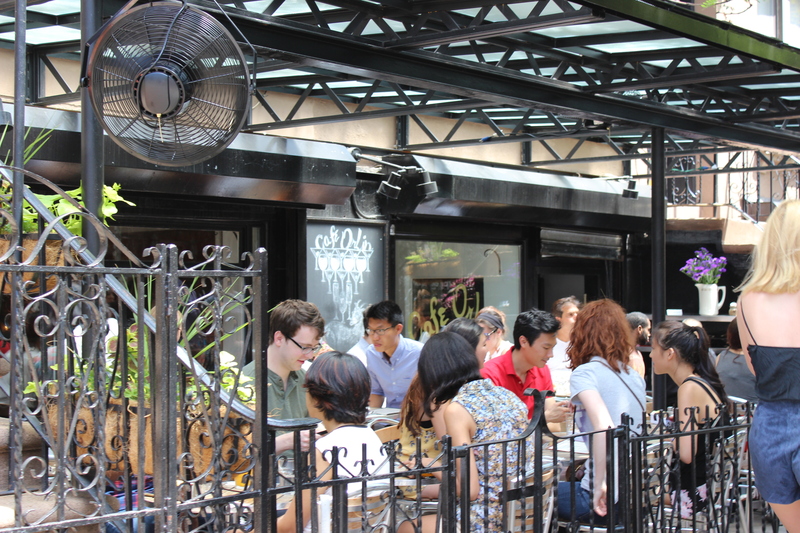 If you know anything about NYC, then you know weekend brunch is a sacred tradition. Well for us, not really a tradition since it is pretty pricy, but we do love to test out new brunch spots once in a while. We had some friends from our hometown come visit and couldn’t let them leave without the typical brunch! 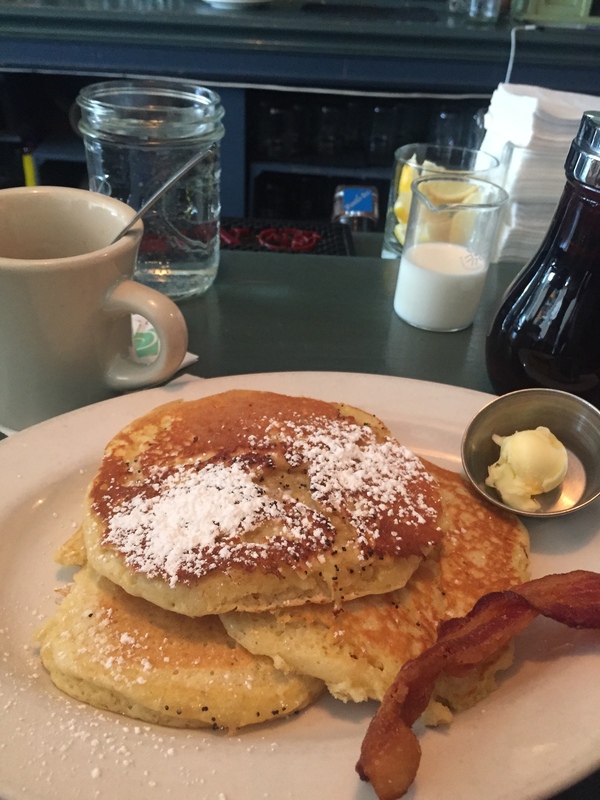 So we headed to Cafe Orlin in the East Village at around 11 on a Saturday morning. 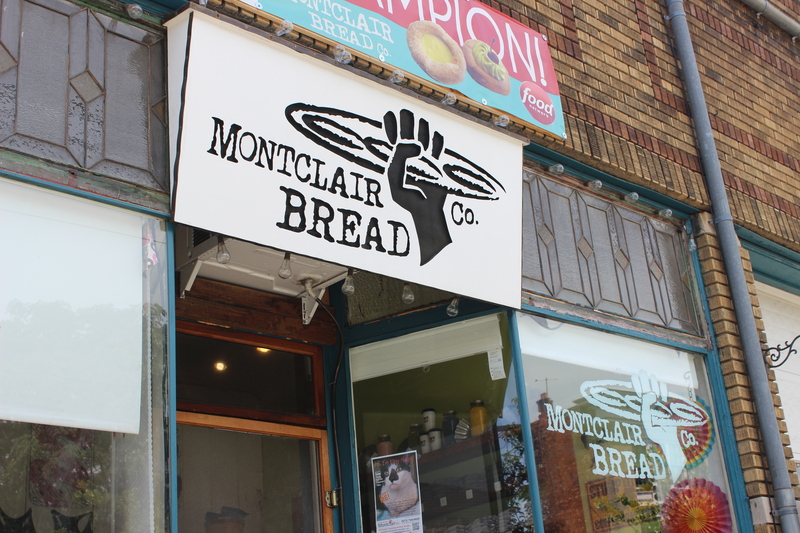 We had heard there would probably be a long wait since all of those other city dwellers love their brunch, and when we got there we saw a few people waiting outside. Luckily, the cards were in our favor because literally 5 seconds after I put in my name for the wait list, we were called inside and got the most perfect private table! It helped that we were a group of four since most people there were in groups of 2 or 3 tops and had to wait for smaller tables to free up. 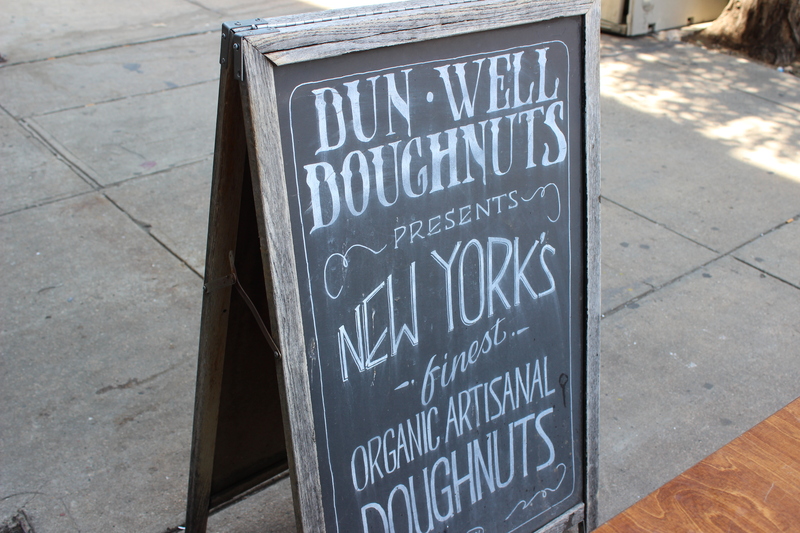 If you’re looking for some delicious doughnuts don’t look any further than Dun-Well doughnuts just off the Montrose L Train stop in Brooklyn. 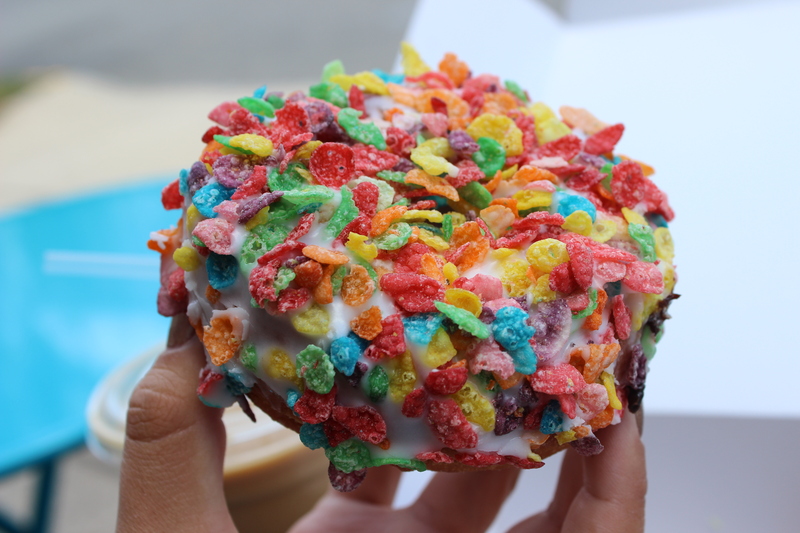 If you’re looking for vegan doughnuts also look no further than Dun-Well. Yes, you read that right. 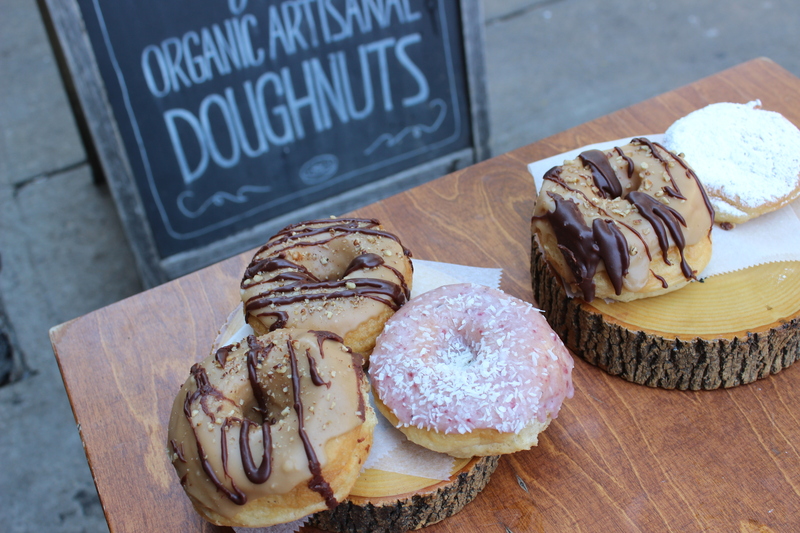 Dun-Well’s doughnuts are completely vegan and are more than comparable to a traditional doughnut. 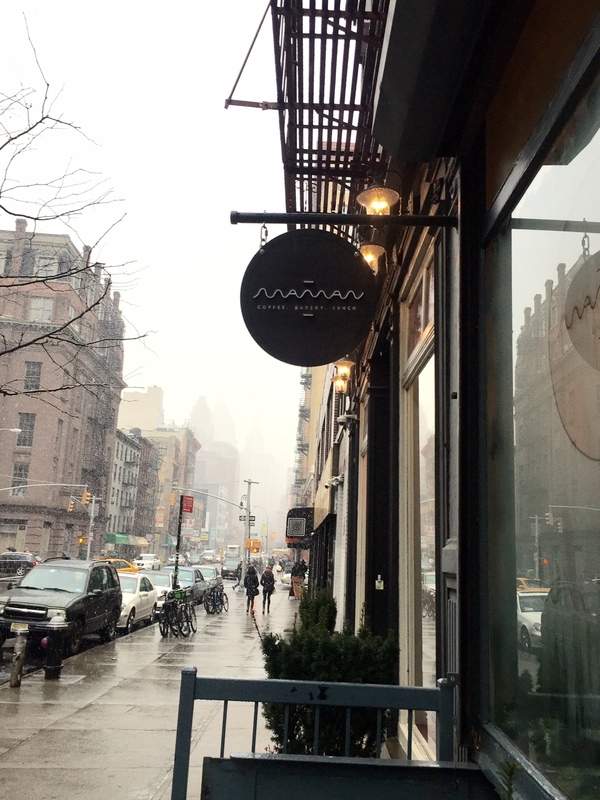 1) Maman- Maman is located in SoHo, my favorite part of Manhattan! Aside from the food and drinks here, I have to point out the decor. 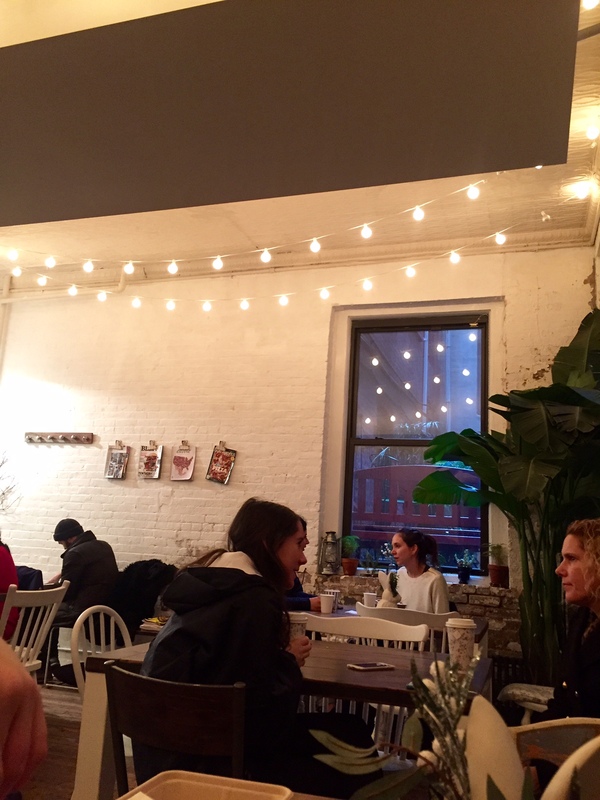 The whole cafe has an urban aesthetic with wooden tables, brick walls and stringed lights. They also decorate the walls with plants and quirky knick knacks. I wanted something sweet so I opted for lavender hot chocolate. 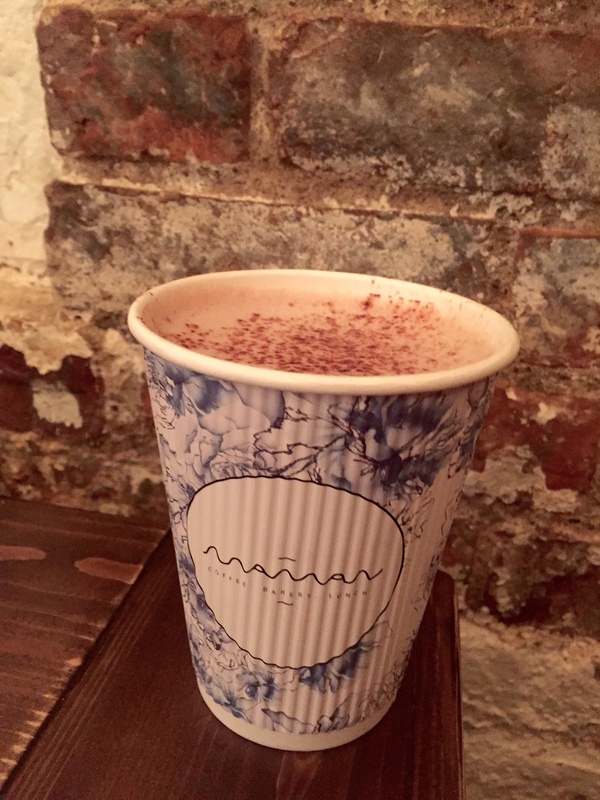 Plus, I’ve never been somewhere where lavender hot chocolate was even an option, so it was a must-get. It was delicious and you could definitely taste the lavender, but it wasn’t too overpowering. Don’t be afraid to try it yourself! It’s subtle and spices up the typical hot chocolate. 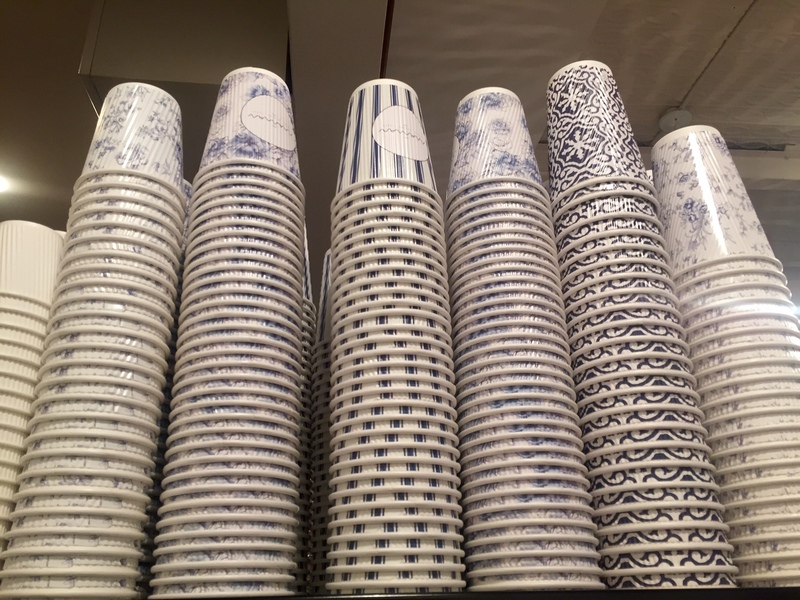 Plus… look at the cute cups they come in! 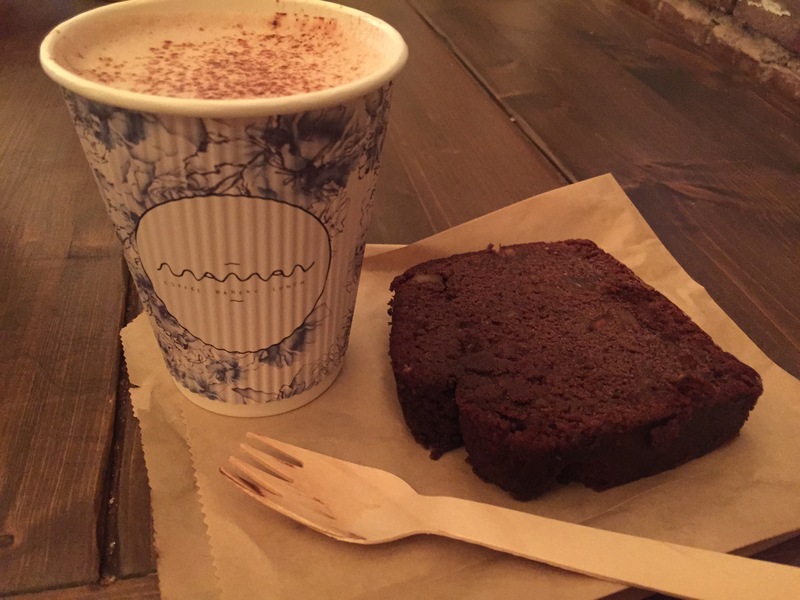 I also got chocolate walnut bread to go along with it. It’s actually funny, because the sign said “chocolate cake,” so I guess I kind of had cake for breakfast! Either way, I loved Maman and it definitely makes for a cute spot to get away from the hustle and bustle of the city. 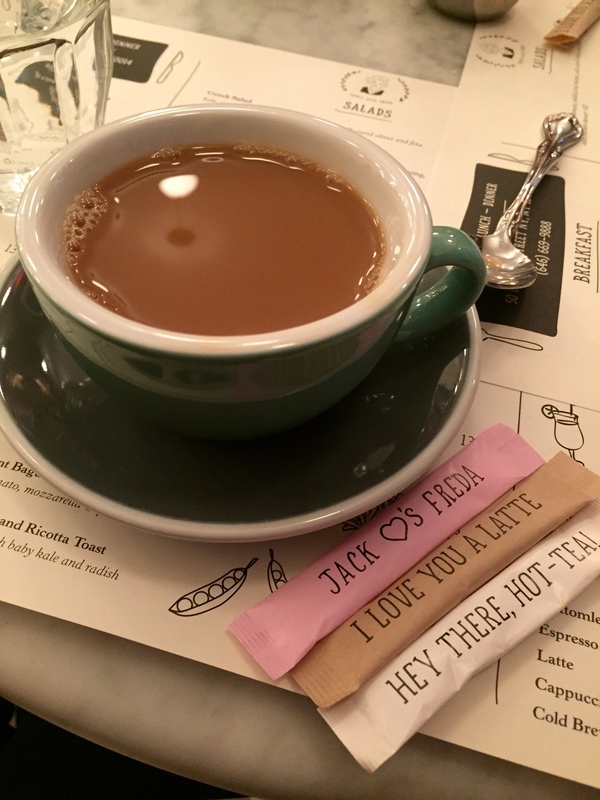 2) Jack’s Wife Freda- I’ve wanted to go to JWF for Sunday brunch for a really long time. I wasn’t planning on going here when I did, but it was raining and my friend and I wanted to sit down and have some coffee…. so to Jack’s Wife Freda we went! Their coffee is from Stumptown Coffee Roasters, which I’ve never had before, but it was great and even better was the adorable sugar packets they had on the table. 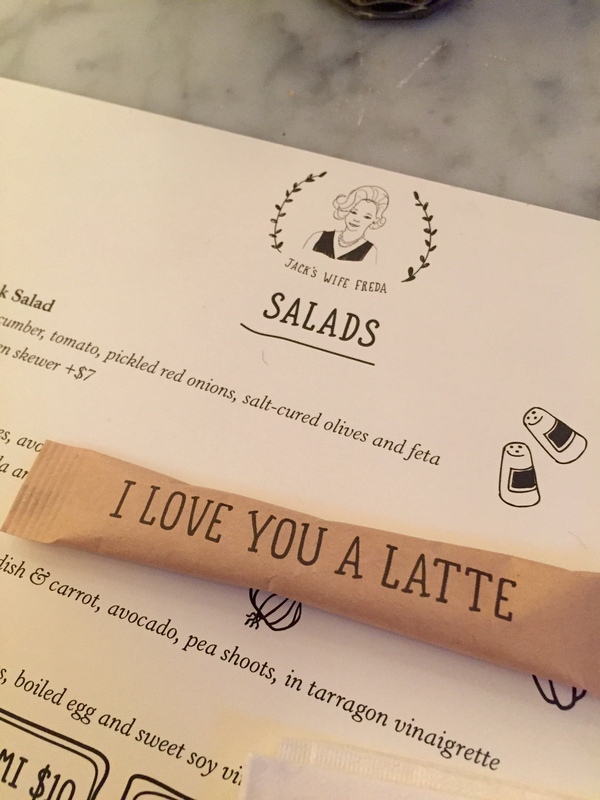 I loved the coffee and the place a latte. 3) 983 Bushwick’s Living Room- Before my friends and I went looking at the street art in Bushwick, we grabbed brunch at 983, a place known for being open 24 hours a day. I got some delicious lemon poppy pancakes and of course, coffee to go along with it. I loved how the cream/milk came in a beaker! This is a must-visit place if you can’t get enough coffee, because I kid you not, you would take two sips of coffee and your cup would be refilled. 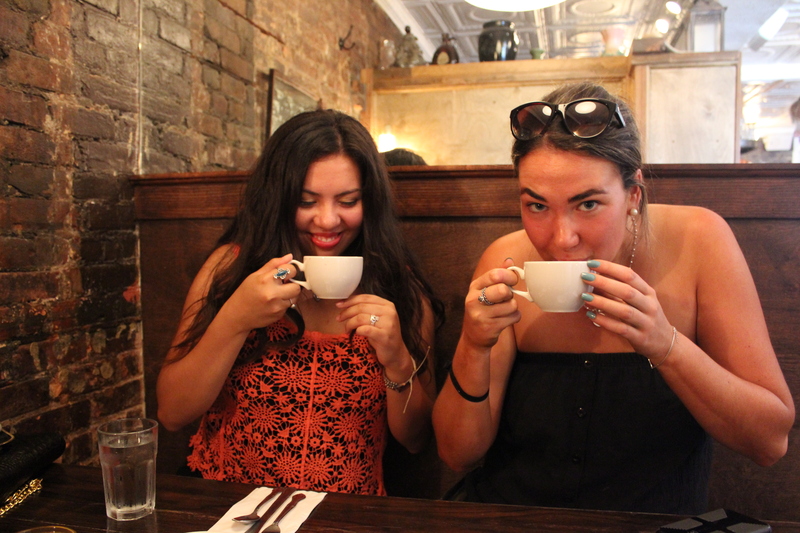 By the end of our meal, my friends were so jittery from all of the coffee we drank. 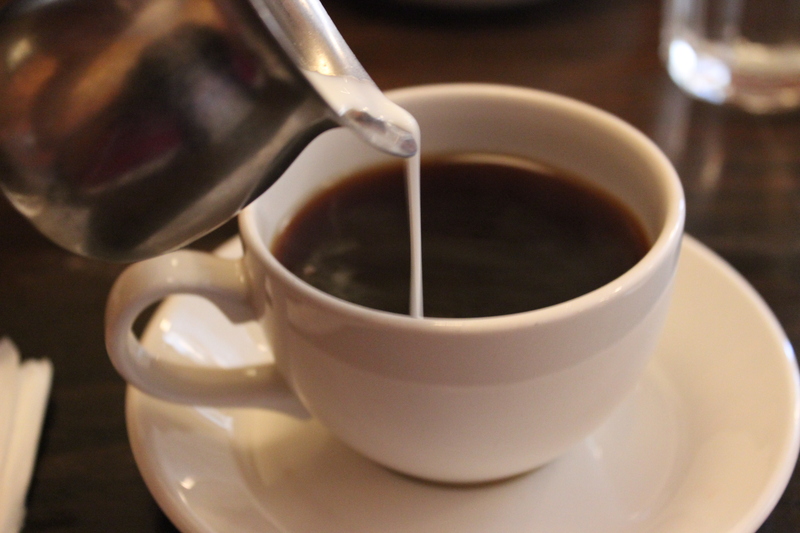 Approximately 10 cups of coffee later, we were sufficiently fueled up to start our day. I loved all the cute cafes we were able to try out and can’t wait to get back to the city to head to some more cool coffee spots!